The Miss Universe Singapore beauty pageant crowned 24-year-old Shi Lim on Saturday night, giving her the right to represent the country in the contest’s international round later this year. The tallest in the pageant at 176cm, the business executive competed against 15 other finalists during the grand finals, which was held at Shangri-La Hotel. She edged out Cheryl Desiree Chan and Cordelia Low who were declared first- and second runner-ups, respectively. 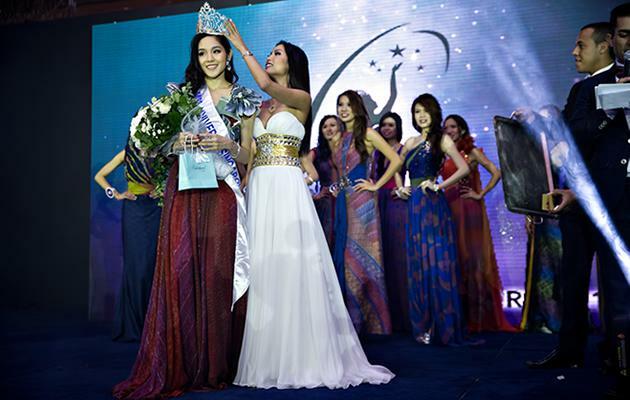 As winner, Lim receives prizes including a $48,000 ruby and diamond ring, and will be representing Singapore in the international Miss Universe 2013 pageant, which will be held on 9 November in Moscow, Russia. Lim has lived in North America for the past seven years, and believes that this pageant is a good platform for her to paint an accurate picture of Singapore to the world. The 16 finalists were presented to a panel of nine judges, including local actor Alaric Tay and Miss Universe Singapore 2000 winner, Eunice Olsen. The finalists were judged based on their stage presence, elegance, poise, speech and walk. Those criteria were taken into consideration during the swimsuit, evening gown and Q&A segments. The judges had also provided with the questions during the last segment. Gerald Seng of Komoco Motors asked Shi Lim if she would let her son become a rich footballer instead of fulfilling his studies. “I will let my son pursue the sport but not in place of education…he needs to find a balance between both,” she replied. Errol Pang of Derrol Stepenny Promotions asked second runner-up, Low, on her thoughts about the pageant being slammed by the public for having Chinese finalists only. “It’s just politically incorrect,” she answered. “It helps the economy to grow, but the real problem here is ageing population,” Chan answered, adding that the government should “focus” more on the latter issue by making improvements such as in healthcare.